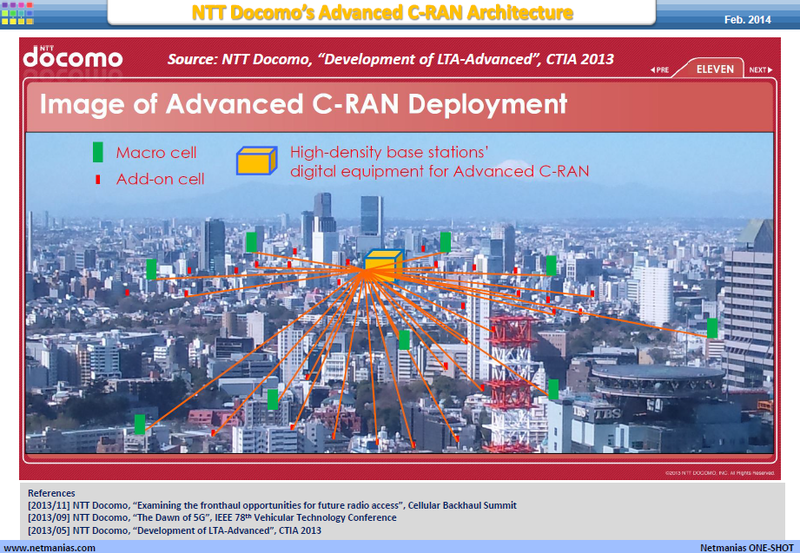 The first one is NTT Docomo's advanced C-RAN architecture. I have posted a presentation on Slideshare as well on this topic. It can be viewed here for more details. The next one is the Fronthaul and Backhaul architecture by SK Telecom. I have a slideshare on a similar topic by SK Telecom here. In fact a post on 3G4G blog from the iGR whitepaper here is an interesting read on this topic as well.